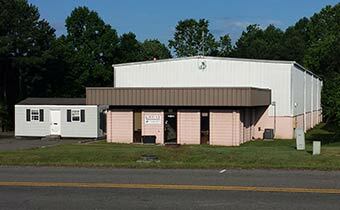 Founded July 1, 1995 and located in Ashland, Virginia, GREAT operates as a national and international marketing arm for automotive shop equipment companies. The two original principles were Archie T. Goodwin and William “Ed” Rawls. Both men had extensive automotive backgrounds, knowledge of the industry, and owned Goodwin-Rawls Sales Company. This agency represents automotive, petroleum, industrial, and agricultural products in North Carolina, South Carolina, and Virginia. For over 10 years, from 1984 to 1995, another of Archie and Ed’s businesses, Accu Industries, Inc., served many nationally known companies such as General Motors Dealer Equipment, Ford Rotunda, Toyota, Nissan and others. Other accounts worth mentioning included Pep Boys, Advance Auto, Trak Auto, Goodyear, Big O Tires, Midas and many more. Accu Industries, Inc. had a competitive automotive product line with over 100 sales reps and over 400 distributors. Soon after the principles sold Accu Industries, GREAT Incorporated was formed. GREAT Incorporated is a worldwide distributor of automotive shop equipment and parts, and markets products such as brake lathes, tire changers, lifts, alignment machines, and much more. They also provide parts for most of the industry equipment. Continuing the growth projectory, GREAT also represents Forward Lift, General Mfg. Inc., Symtech Corp., GRP Equipment, Accu-Turn, Saylor-Beall, GPI, CPS Products, Kwik-Way, BARTEC, Synergair LLC, Nitrogen Generation Systems, ALT lighting, Liquidynamics Inc. and Jenny Products Co. If you need a part or a piece of shop equipment, we can get it for you! GREAT, Inc. was sold on January 1, 2018 to Jack Ryland, who has worked in the automotive industry for over 40 years. He has been an outside sales agent for CARQUEST, Advance Auto, and NAPA, as well as owning several truck and auto-related businesses. Jack is dedicated to keeping the same company values and services that our customers know and appreciate. Archie Goodwin stayed on to assist and support while GREAT goes into another phase of ownership. Our goal is to maintain the current levels of quality and attention to our customers put in place by the previous owners, while growing as we meet the needs of our customers. We are able to provide timely delivery by our warehouse facilities. Having substantial stock in house enables quick delivery services of products for a shop owner’s equipment needs! Call our office today to discuss your special products.